Formed in 1983, the mission of Project Gurnet & Bug Lights is the restoration, preservation, and maintenance of both The Plymouth Light Station and Duxbury Pier Light. 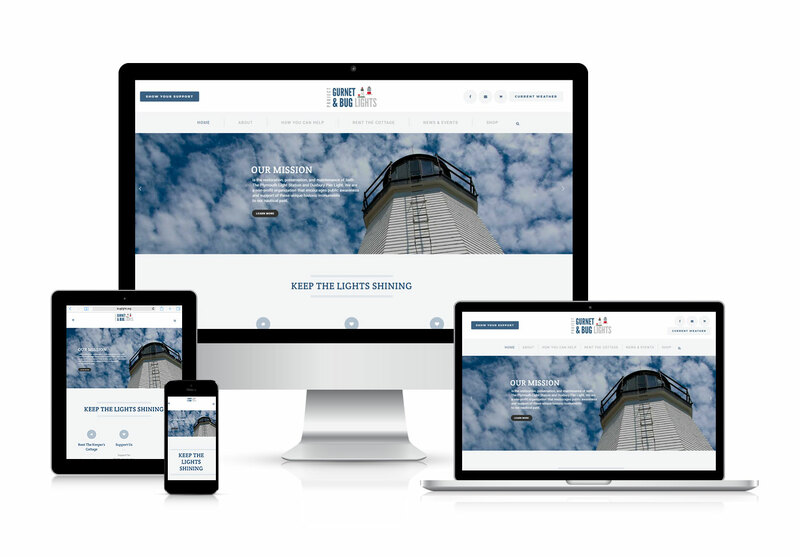 A non-profit organization that encourages public awareness and support of these unique historic monuments to our nautical past, PG&BL wanted a new website to reflect that mission and communicate ways the general public can help. Working with Mica Web Design, PG&BL refreshed their website — and their mission with increased awareness and support for these cherished local landmarks.